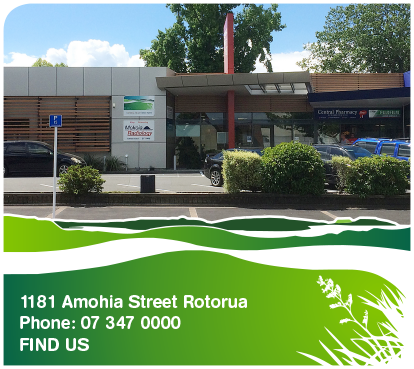 Welcome to Rotorua Medical Group. We are dedicated to providing affordable, quality healthcare for you and your family. Our team of doctors, nurses and support staff partner with you to manage your health and wellbeing. 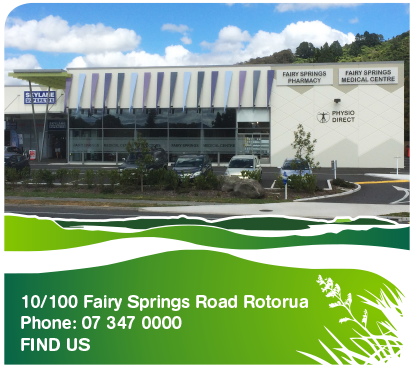 We have two modern, convenient centres providing you with the flexibility of location and continuity of care in our Rotorua Central and Fairy Springs locations. Both sites operate a daily Drop in Clinic which runs 9.00am to 11.00am and at Central Health 2.00pm to 4.00pm. For friendly, professional and low cost healthcare services, contact us today.